EOO 3300 km², there is a continuing decline in habitat, subpopulations, locations and mature individuals due to mining and overgrazing. 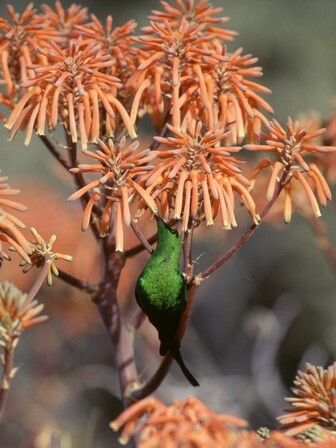 Subpopulations are not severely fragmented as Aloe spp. are wind-dispersed. There are 13 known locations. Sandveld, Lambert's Bay to the mouth of the Orange River. Grows on deep coastal sands in West Coast strandveld vegetation. Verdoorn, I.C. 1966. 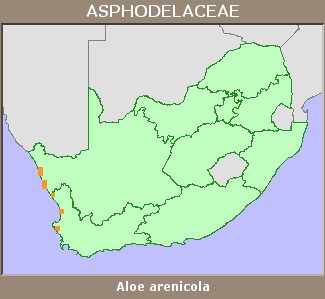 Aloe arenicola. 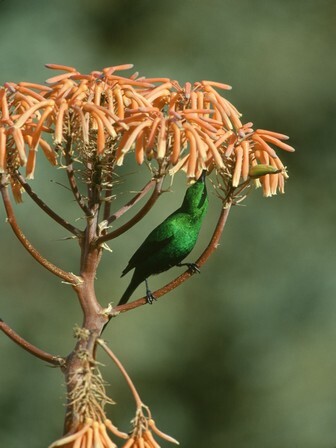 Flowering Plants of Africa 37:t. 1467.